Chromebook wireless mouses will allow Chromebook users to free themselves from the trackpads and touchscreens that are the default. There are many different Chromebook compatible wireless mouses that work great. Users will need to examine the difference between buying a USB wireless mouse for Chromebooks or getting a Bluetooth wireless mouse for their Chromebooks. There are several advantages and disadvantages to both methods. If you are using several Bluetooth devices, using all Logitech devices may be the best because there controller can run up to six devices at the same time! Remember, that pretty much all USB non-wireless mouses will work with a Chromebook and that no extra software is needed. This is one of the great things about Chromebooks, no need for drivers, not even for wireless mouses. This makes Chromebooks super easy to use and upgrade! To connect a USB keyboard or mouse to your Chromebook, you just need to locate the USB port on the side of your computer and insert the USB connector for your device in the port. Your USB connector can only go in one way, so don’t force it. All Chromebooks will have USB ports that you can use to connect a mouse. If you are using several USB devices, you may need a USB hub to extend your Chromebook’s capabilities. A USB hub will allow you to connect more devices to your Chromebooks limited USB ports (most Chromebooks have two USB ports). The most important features when buying a Chromebook wireless mouse are comfort (which includes grip, how the mouse glides across a surface, and overall feel), durability, sensor, buttons, battery life, connectivity, and size. The best Chromebook wireless mouses reviewed below are sampling of many different styles that most people will find acceptable. 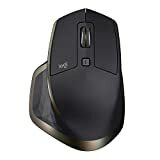 Choosing a wireless mouse always involves some degree of personal preference and users might be best suited to try out a few and then return the ones that they did not like. Again, remember that picking a wireless mouse for a Chromebook is largely a personal preference so this might be better to buy in person rather than online. Maybe check out some local stores to find the best Chromebook mouse in person. Many Chromebooks have Bluetooth which will allow you to easily connect a wireless mouse. Some Chromebook compatible wireless mouses come with a USB dongle that will allow for an easy connection. RF wireless mice all come packed with a dongle, which connects to one of your computer’s USB ports. Bluetooth wireless mice generally don’t come with any dongles. Instead, your mouse features a transmitter that communicates with the Bluetooth receiver built in to your computer. 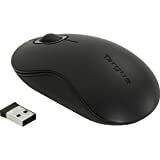 Most wireless mice connect to computers through a receiver you plug into a USB port, which picks up a wireless signal from the mouse and converts it to a USB signal the computer can understand. Chromebooks will work with most USB RF style wireless mouses. The downsides of bluetooth wireless mice over those that use USB receivers include their more expensive price tag and the fact that not all computers are capable of using them. Another difference is that when you wake a laptop from sleep, it takes a few seconds for the Bluetooth mouse to start working (it has to reconnect just like reconnecting to a wifi hotspot). It’ll also occasionally (rarely) disconnect, which can be really bad in a game. The wifi mouse with dongle connects instantly, and I’ve never had one disconnect except for a dead battery or if the mouse was too far from the dongle. This is a great wireless mouse for Chromebooks. Smooth, precise and affordable wireless optical 3-button mouse with nano receiver for laptop, desktop and netbook PCs. The AmazonBasics wireless mouse is compatible with Chromebooks and is plug and play. The nano-receiver stays in your PC USB port or stows conveniently inside the wireless mouse when not in use. Wireless operation has been flawless. The top of the mouse is rubberized synthetic that does absorb oil from your hand and fingers.. Easy to clean with windex though. 2-year battery life practically eliminates the need to replace batteries Battery life may vary based on user and computing conditions. This is an overall great wireless mouse that works on Chromebooks. With extra controls at your fingertips, M510 lets you browse the web, flip through photo albums and navigate documents faster and easier. The tiny, wireless Logitech Unifying receiver stays in your computer so it never gets lost. Connect up to six Unifying compatible mice and keyboards to the same wireless USB receiver. There is an on/off switch, but it also goes into sleep mode to conserve the batteries. It works right out of the box, but there is software you can download off the Logitech website if you want to customize the button functions, etc. The Targus Wireless Optical Laptop Mouse works with Chromebooks and boasts comfort as well as innovative technology. It is ergonomically designed to fit any hand for extended periods of time. With its Stow- N-Go feature, this mouse is ready for easy travel. Just keep the small receiver plugged into your computer’s USB port or tuck it away into the convenient storage compartment inside the mouse for on the go laptop users. The mouse does everything you would want it to, it connects to the computer fine, and it just works. The two batteries give a heavy feel, making it feel high quality. The only complaint I have with it is that the scroll wheel has a strange inertia-like effect with the Mac I use it with, which made it hard to use at first. 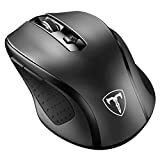 This Chromebook compatible wireless mouse has a contoured shape and textured rubber grips keep your hand comfortable even after long hours, USB Nano Receiver which can be stored within the back of the mouse. This is a new high-grade Wireless Mouse with 2400 DPI 5 adjustable levels 6 Buttons. Features reliability, ease-of-use, and user comfort, this wireless mouse gives you fast data transmission and no delay or dropouts. This is not a Bluetooth mouse. It uses a tiny 2.4GHz transmitter that you plug into your PC/Laptop. It does exactly what it’s supposed to, it’s very comfy, feels sturdy and well made, no battery life issues, no “sleeps every 30 seconds” issues, and the DPI & side buttons are great.